I started my day with a 5 mile easy run and some core work. Felt good to just go out for a run (in the snow) and not worry about time! I finished my run in 46 minutes. 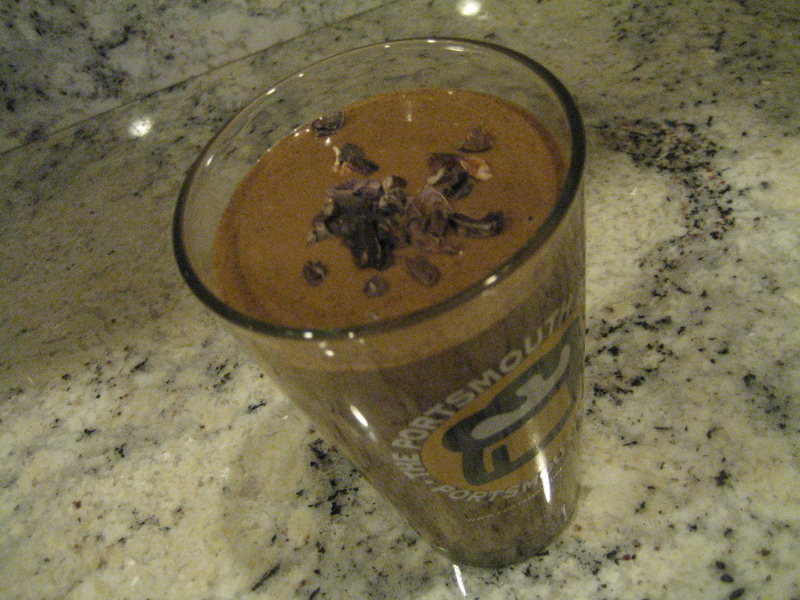 After my run, I whipped up a protein smoothie for breakfast. 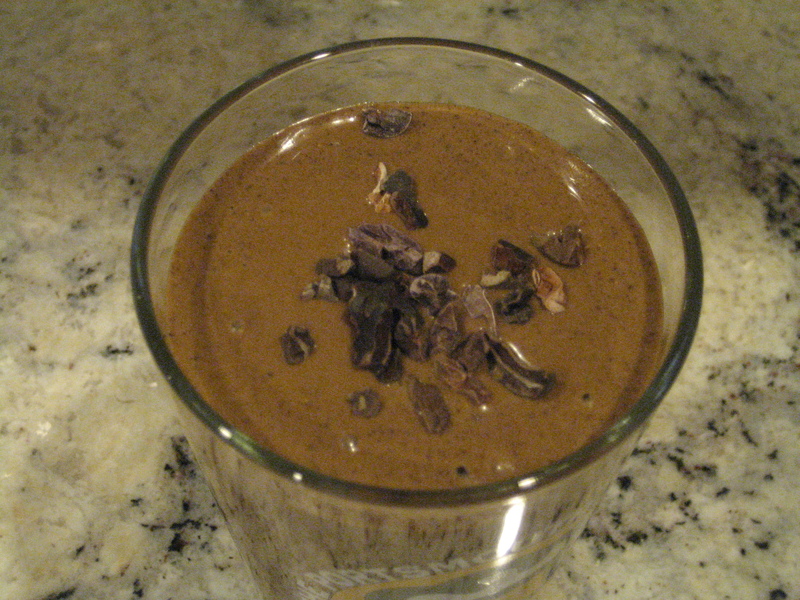 This was so chocolatey – I loved it! Hopefully it refueled my tired and sore muscles. Cacao nibs on top, just for fun. FYI – I like using frozen bananas in my smoothies (or other frozen fruit) instead of ice because I find that it blends better. 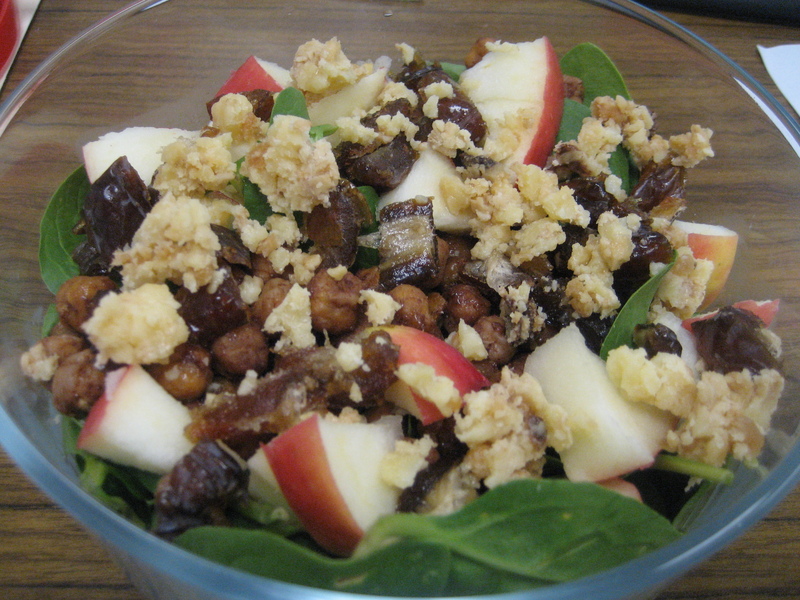 Lunch was another phenomenal salad. 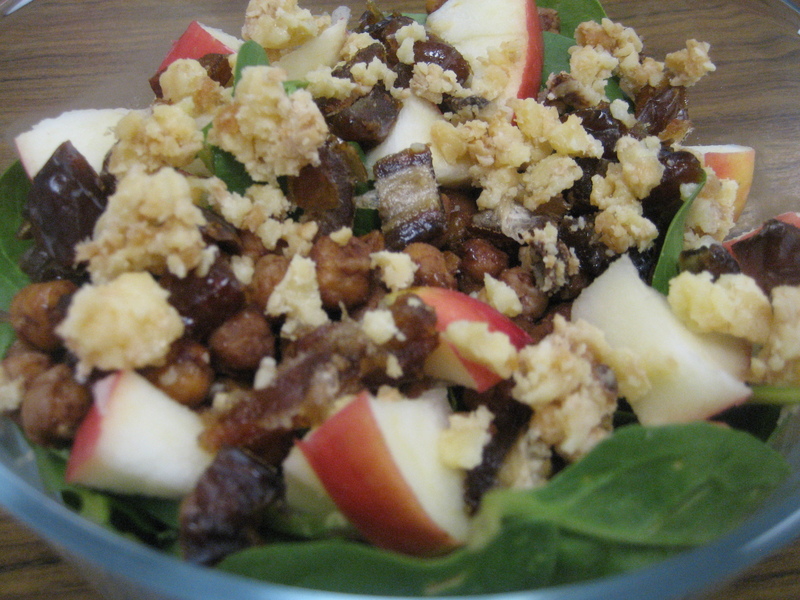 Today’s salad contained baby spinach, roasted chickpeas, cheddar with oats and raisins, red apple, chopped medjool dates and a dash of pear infused vinaigrette. Just as good as yesterday! 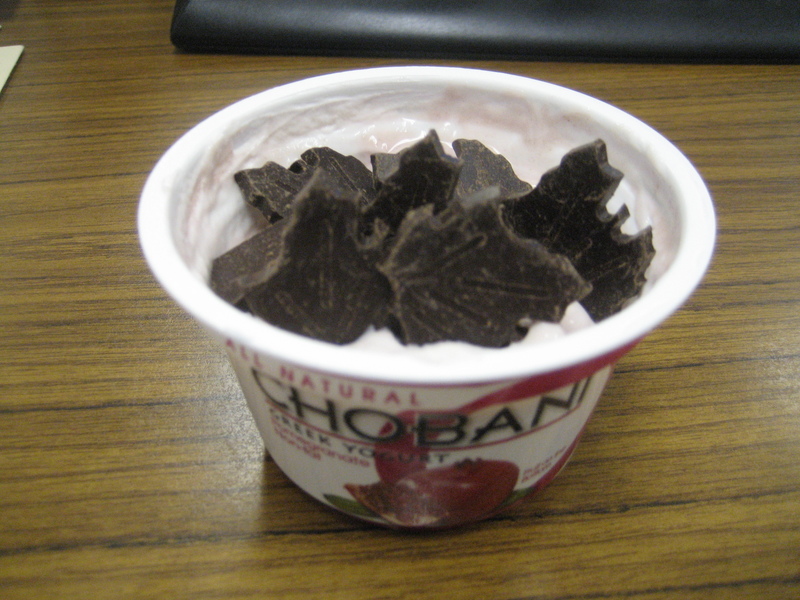 I also had a pomegranate chobani (with a few crushed dark chocolate leaves) for something sweet. I don’t necessarily need or crave something sweet after my meals, but it makes my day much better when I have a healthy treat! Dinner tonight will be fun, but a little later, so I brought this bar to nibble on my commute home (but, I broke into it around 3:30pm)! 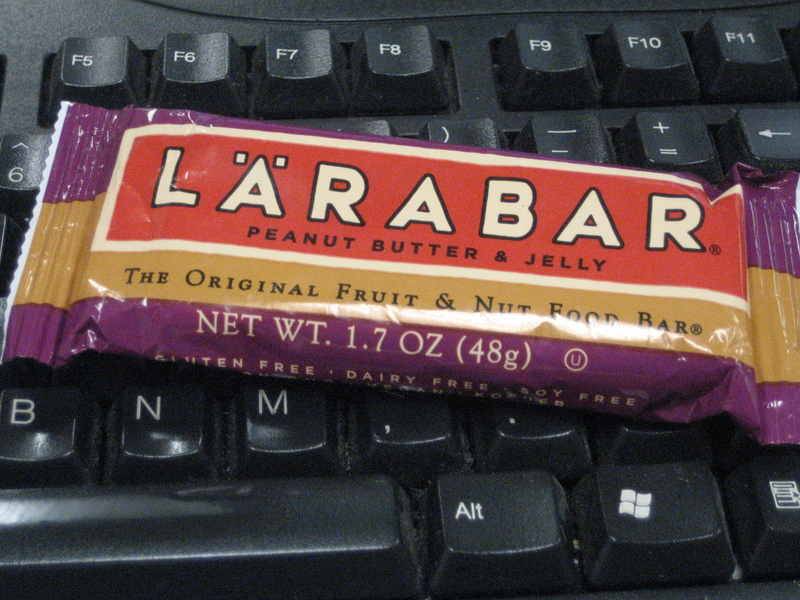 Love the PB&J Larabar – it tastes like a smooshed PB&J sandwich!